Keep Dalton-Whitfield Beautiful submitted this article which appeared in the Daily Citizen News on June 19, 2018. Keep Dalton-Whitfield Beautiful recognizes Phillip Pfeifer’s giving of his time, passion and effort through his board membership in the past ten years which has led to a greater community and extends its gratitude for him. Our work is made possible by volunteers like Phillip, who benefit of us by lending a helping hand and a passionate heart. Keep Dalton-Whitfield Beautiful (KDWB) is a local nonprofit that focuses on litter prevention, beautification and recycling. It is run by board members who volunteer their time throughout the year to help decide and implement KDWB’s projects and goals. Its mission is to improve the community environment and create more vibrant places to live. Phillip Pfeifer has been on the Keep Dalton-Whitfield Beautiful Board for 10 years. He lives with the goal of improving the quality of life for all residents in his community, whether it is the Dalton community where he works, or the Ringgold community where he lives. Volunteering has been a part of his life and he adopted his passion for volunteering and giving back from his father as he grew up. He believes it is important to volunteer because it leads to a better world which, in turn, leads to better people. When he retires, he plans to use his time to continue volunteering in his community and through his church. He was hired by the city of Dalton in February 2008 as the stormwater manager which led to his transfer to Dalton Utilities in September 2008. He is now the energy engineering technician at Dalton Utilities and works with the gas sector which involves keeping up the digitized gas mapping system (GIS), which involves posting gas meters, regulator stations, mains, service lines, leaks and more. 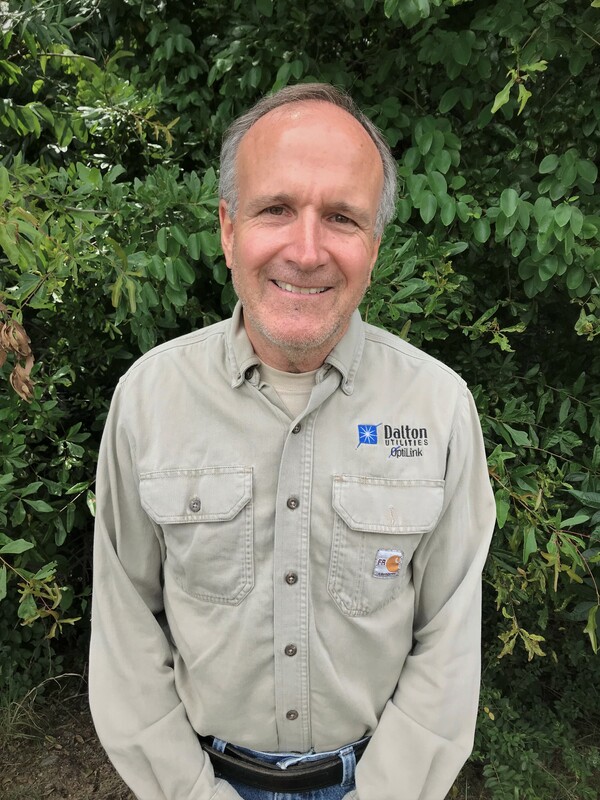 It was his position at Dalton Utilities that first led him to joining KDWB which was closely aligned to his career through the Adopt-A-Mile program and environmental conservation. Since then, he has focused on the beautification committee, working with local schools that have received beautification grants, helping with the annual litter index survey, and working the booth at Prater’s Mill or the Greater Dalton Chamber of Commerce Business Expo to promote various KDWB initiatives and connect with others in the community. When he is not at work or volunteering with Keep Dalton-Whitfield Beautiful, he is the health ministries coordinator at Battlefield Community Seventh-day Adventist Church where he leads a reversing diabetes seminar and a plant-based cooking class each month. He also helps, when time permits, in volunteering at the church’s food pantry with his in-laws, which is open every Wednesday. “The reason for my continued passion and energy is my walk with the Lord,” Pfeifer said. One of the reasons that Pfeifer is so passionate about KDWB is because he knows that how things are perceived on the outside can directly impact how people feel on the inside. A beautiful yard or waterscape can help people have a higher quality of life and boost their mood. This, in turn, leads to greater community pride. When Pfeifer goes home to his family, including his wife of 16 years and his daughters, who are 3 and 8 years old, he spends time with his family outside, and during 30 minutes to an hour in his garden which includes tomatoes, squash and strawberries. He uses no pesticides in his garden and grows organically. He has a daughter in her 30s and a son and daughter in their 20s, as well. His advice for people in Dalton looking to give back? “When you reach out of your comfort zone and help someone the blessing you get back is greater,” Pfeifer said.